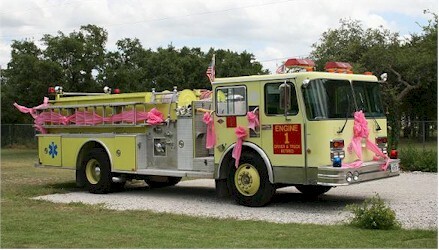 Many California cities (and counties) had yellow fire trucks. Long Beach had them. Orange County had a few. They all went back to red. It's just so unnatural. It goes against the laws of God and nature. I've been told that the new color is more visible at night, especially under sodium-vapor streetlights, which make traditional red fire engines look black.